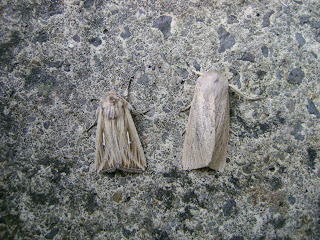 Carmarthenshire Moth and Butterfly Group: Not a bad night. 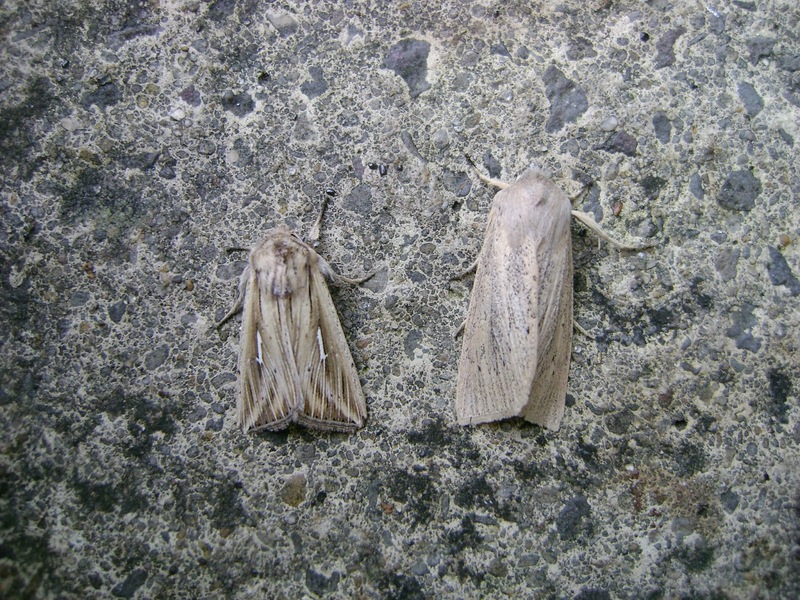 Migrants and residents in the Pwll area. Not a bad night. 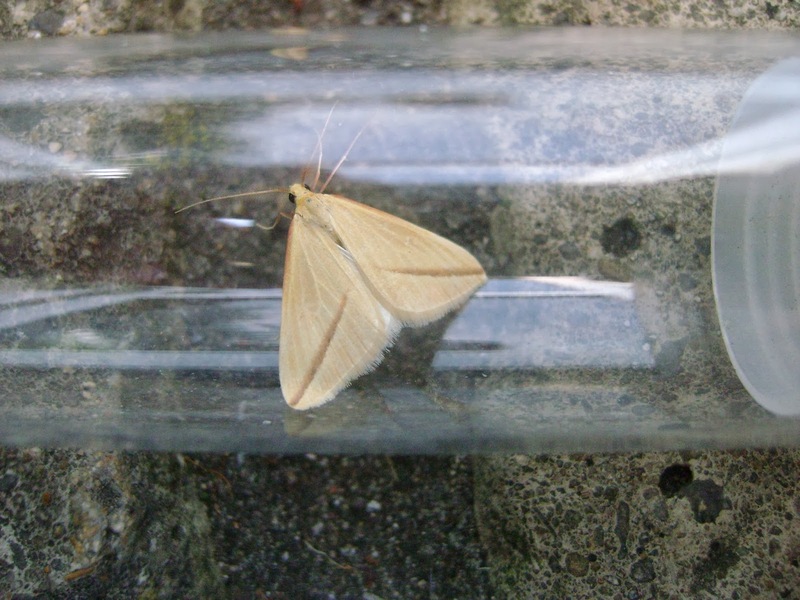 Migrants and residents in the Pwll area. 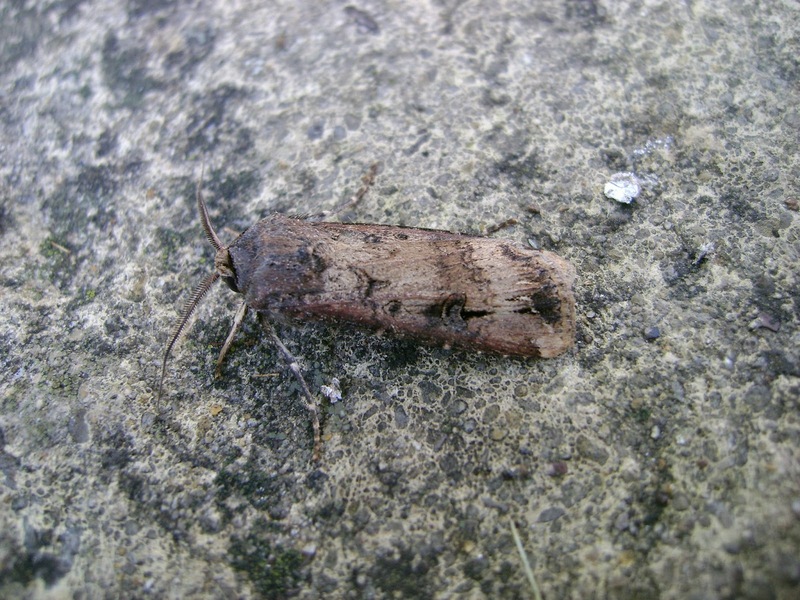 Put three actinics out last night (24.9.13), at home (Tyrwaun, Pwll, Llanelli), at the nearby `Ffordd y Wagen` and on the coast just east of Burry Port. There were a fair number of moths in all traps. 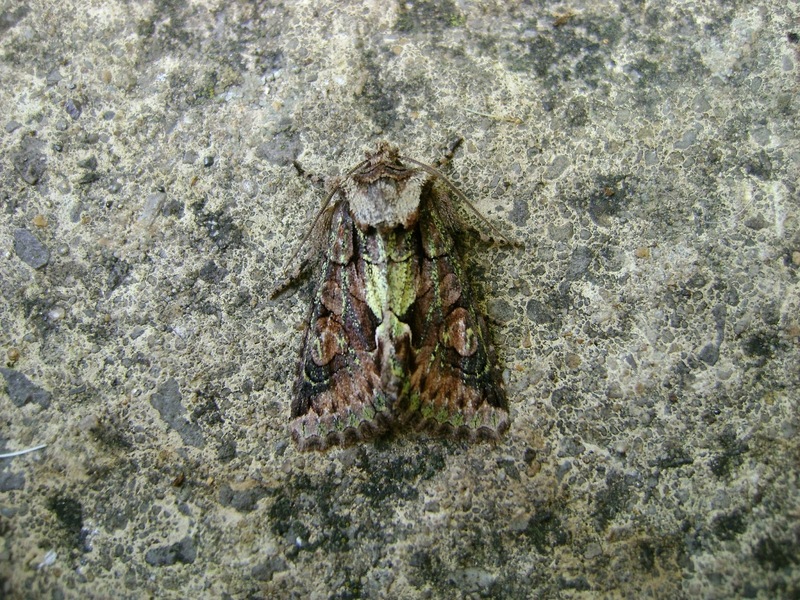 At the last-named coastal trap, the catch included good numbers of silver y`s (8) and a green brindled crescent, one of the more colourful autumn moths (see above). The `Ffordd y Wagen` (an old, now wooded, mineral line) actinic was placed under a wych elm hoping for a dusky-lemon sallow, an aspiration that was not fulfilled! 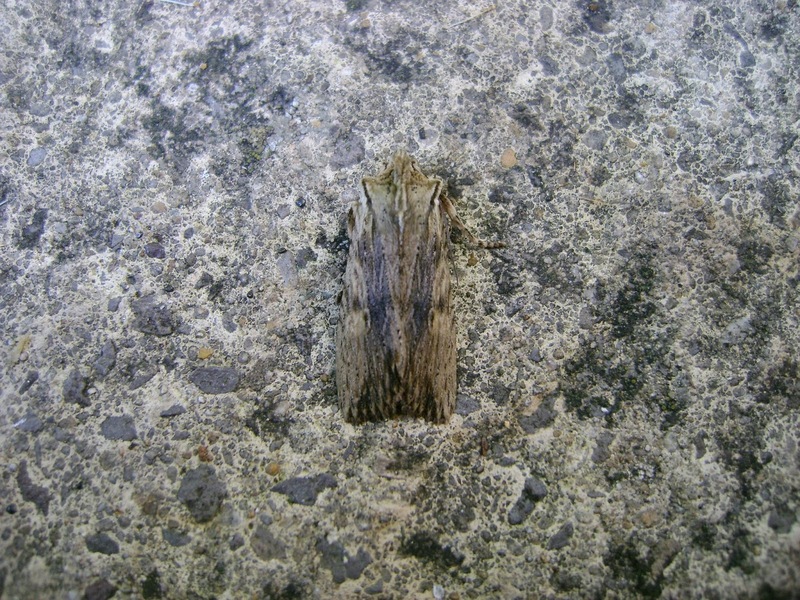 A pinion that I initially thought was a tawny pinion was caught, but on re-inspection (eg width and shape of `shoulders`), I feel it is just a dark-marked pale pinion. 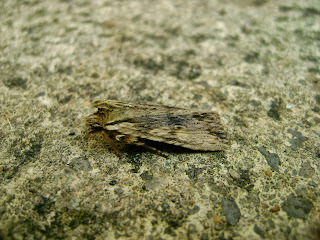 I`d previously caught a tawny pinion, a scarce and local moth in our county, one spring at my nearby home trap at Tyrwaun (confirmed by Jon Baker). 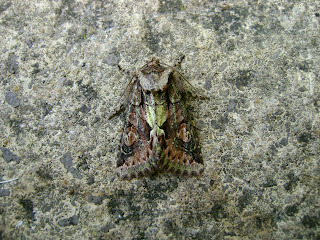 Two photos of it are shown below. 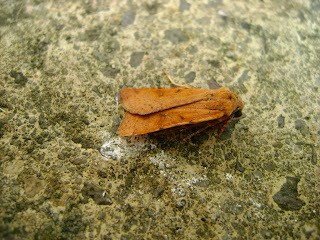 Also in the trap were sallows, pink-barred sallow and a red-line quaker (see below). 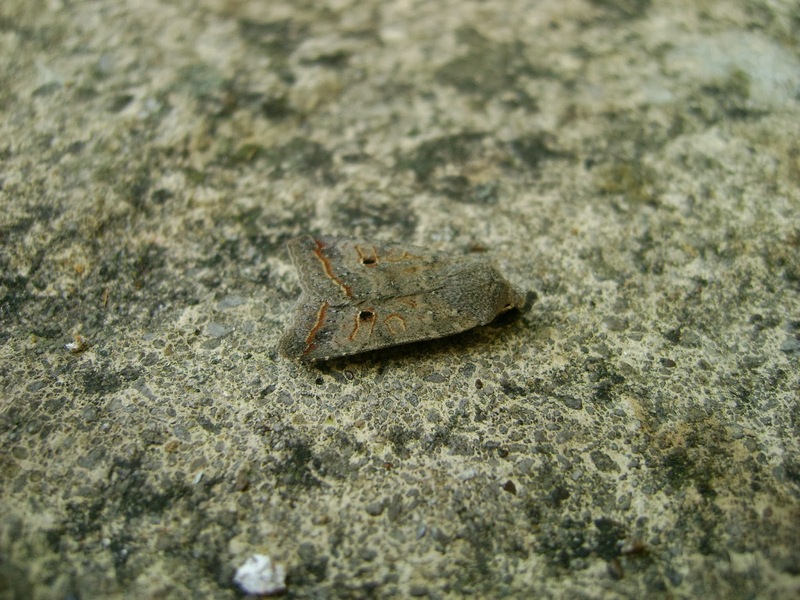 The home actinic, at Tyrwaun likewise proved profitable. 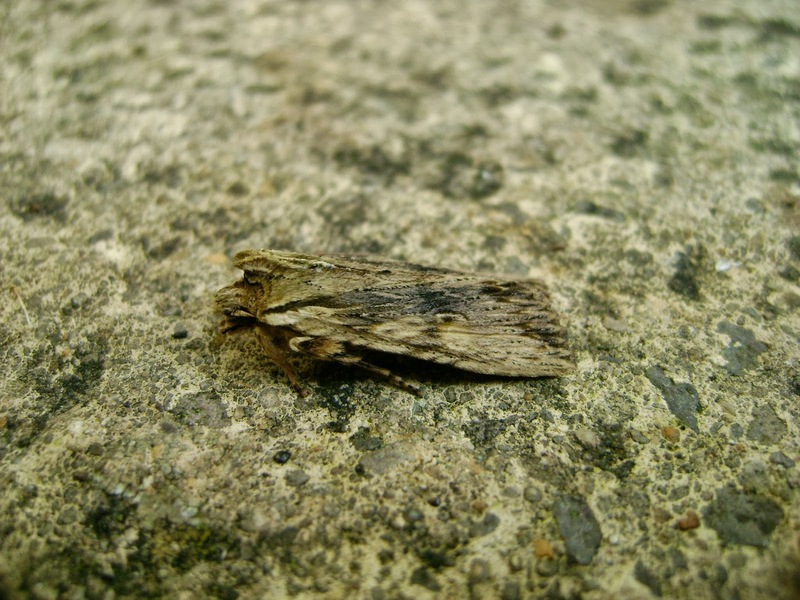 There were 17 silver y`s and 10 dark sword grasses (photo below) representing the migrants, and there were other regular autumn species such as large wainscots and l-album wainscots; two of the latter were caught last night and one is shown next to a large wainscot for comparison. 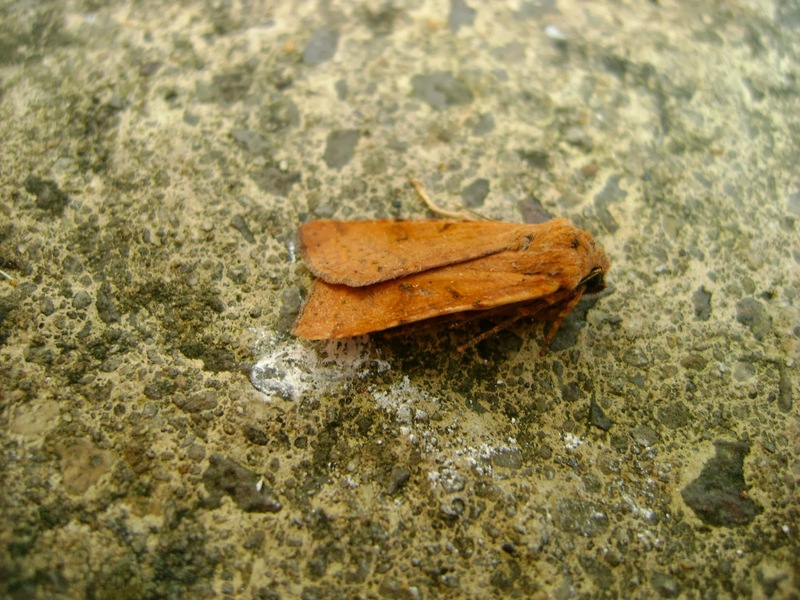 Other moths included large ranunculus, Svensson`s copper underwing, dusky thorn, black rustics (x13) and beaded chestnut, (photo below). Finally, I had to take the new car to the garage this afternoon, for a petty job that involved leaving it for an hour. The weather was warm and sunny, so I went to the adjacent Sandy Water Park to check if any autumn passage black terns were around. They were n`t, but I flushed a vestal from long grass around some tree plantings - it was nice to have another migrant. I did n`t have a net with me, but luckily I had a container (always carry one with you!) 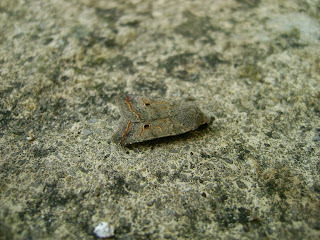 and a camera, resulting in the photo below. I hope to trap away from home tomorrow night, but will only put the home trap out tonight in case there`s a good migrant `with my name on it`! Well done on the Vestal, Ian. Very nice! 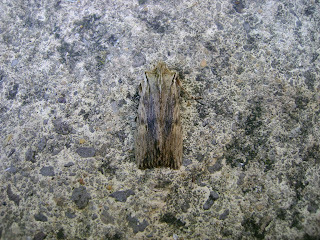 One of the rarer of the regular migrants and always exciting to catch.